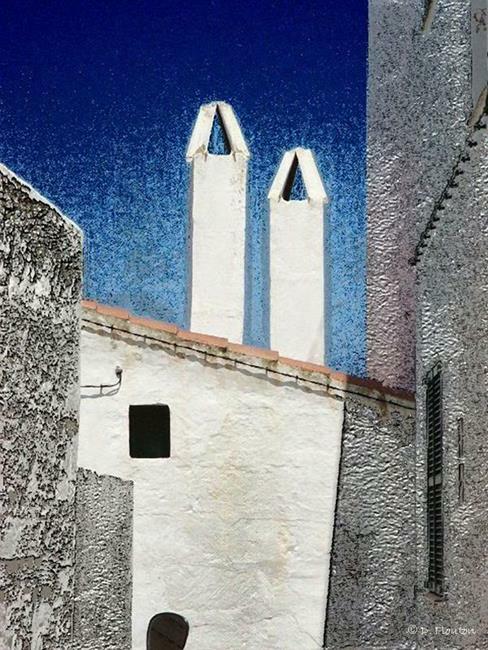 Typical chimneys as found on a limestone-blocked house in Menorca. These exceptionally tall ones stood out at the end of a narrow alley. Digitally enhanced and modified in Studio Artist.